With the new year, brings new clothing trends. We take a look at what industry experts and outlets believe will be the big male clothing trends of 2018. Which ones will you be embracing? Combining style and comfort has become a recent popular male clothing trend, and 2018 is set to be no different. Padded jackets are quickly becoming the in-choice winter jacket this season, as they are equally stylish, practical and comfortable. Neutral colours, such as blacks, greys and creams are all in high demand, as they allow more vibrant underlayers to add texture. Make sure you purchase one with a super warm thermal lining, as some jackets fail to protect against harsh weather conditions – leaving them useless in the winter months. 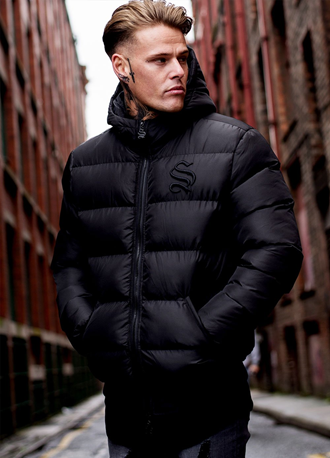 There are a variety of styles of padded jackets, with Puffa Bomber Jackets being a great example of on-trend style; they combine fashion craftmanship with a modern take on a classic jacket – bringing it into the 21st century. The colour red is coming back into fashion for 2018, with many outlets investing in red t-shirts, jumpers and coats. There are a variety of shades on offer to fit your own individual style; from off orange, to deep red – and everything in between. We recommend investing in a neutral red, as it allows the item to be more versatile with other clothing. The colour red is intended to be used as a statement piece, so it is advised you stick to one red item of clothing on your upper body. Red can also be used to enhance accessory pieces, such as bobble hats or gloves in the winter month. Fur has creeped its way back into demand over recent years, and the new year is going to be no different. With increasing awareness surrounding animal cruelty in relation to producing fur, many outlets have switched to use faux fur equivalents. Faux fur not only protects animal welfare, but the material is actually a lot cheaper to produce, meaning savings are passed onto the consumer. For 2018, fur is becoming fashionable as an accessory to clothing, such as on a parka jackets hood. As mentioned above, modern takes on classic jacket designs are very in, so expect to see a variety of coat styles embracing faux fur hoods. In the modern age, designers are pushing for more male streetwear and loungewear. Skinny tracksuits are the latest edition of comfortable stylish clothing, with the trend expecting to surge in the new year. Gone were the days of tracksuits reserved only for sport, and in with 2018 – where it is more than acceptable to walk into the city centre wearing a stylish skinny tracksuit. 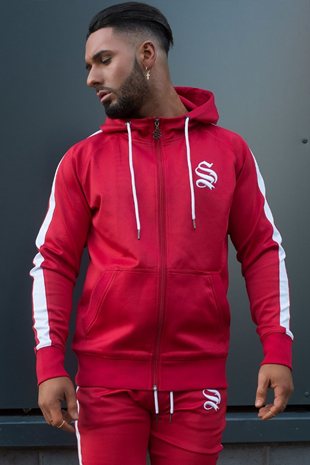 Make sure you wear both elements of the tracksuit to really pull off the sportswear look, combining different tracksuits looks messy and gives off the vibe you are not interested in your style.